You may have come across the term “dump dinners” and wondered what in the world it means. But despite the unfortunate name, they’re actually pretty great. A dump dinner is basically just a slow cooker recipe that throws the majority of ingredients in all at once. Sometimes they require one or two additional steps (like adding cheese or fresh herbs at the end), but these recipes are almost entirely hands off. They’re perfect for busy weekdays and can be easily prepped in advance to make life easier. We rounded up 12 of our favorite tips for making dump dinners — from how to prep them in advance to making them cook faster — and included 12 of our favorite recipes so you can put the tips to use. TIP #1: Line your slow cooker with parchment paper or special slow cooker liners to make clean up a breeze. Lining your slow cooker with either parchment paper or special liners is one way to make dump dinners even easier to prepare. This way, when it comes time to clean up, you just remove the liner and throw it away — that’s it. No scrubbing or soaking required. Get a pack of two slow cooker liners on Amazon for $8.60. Garnish this quinoa with fresh lime, cilantro, or whatever else you have stashed in your fridge — and make sure to use a slow cooker liner to make clean up a breeze. Get the recipe. TIP #2: Preheat your slow cooker to shed a few minutes off of the cooking time. You would never start cooking food in a cold oven or pan, so why would you start cooking something in a cold slow cooker? Preheating the machine before adding your food helps shed a few minutes off the cook time (because it takes time for the machine to come to temperature), so give it about 20 minutes before you add anything. 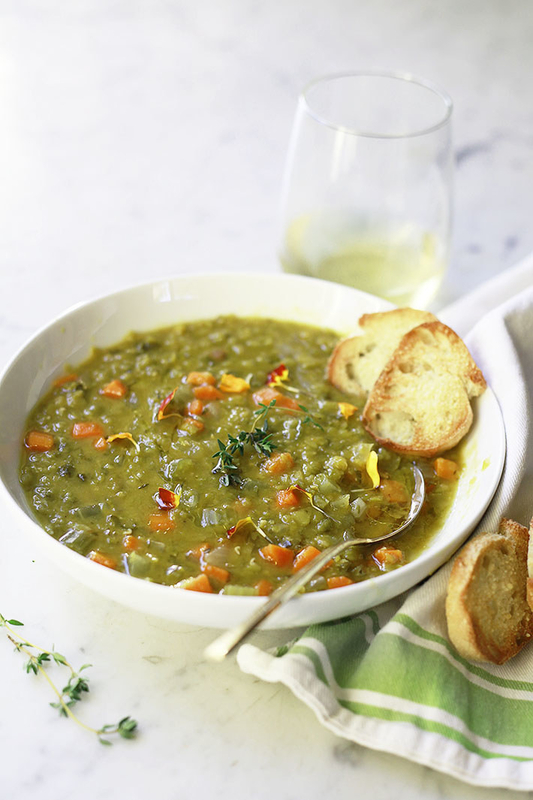 Learn more: Read more about why you should be preheating your slow cooker. 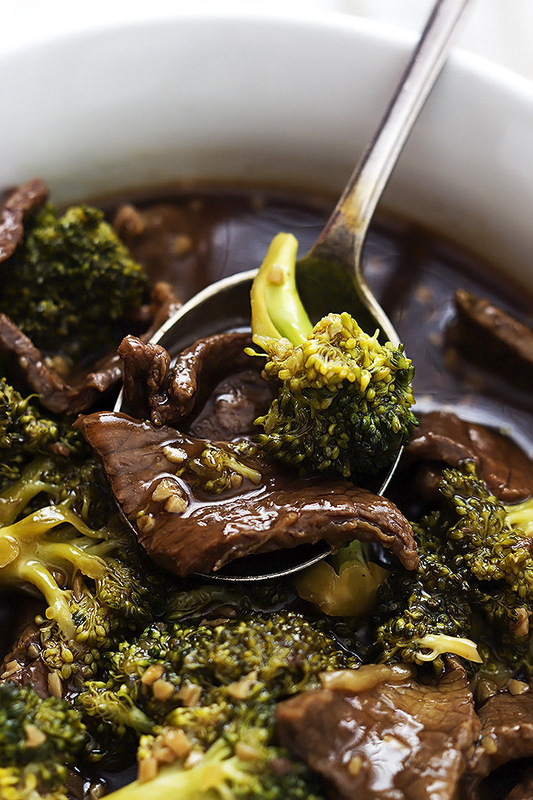 This recipe has you add a slurry (cornstarch + water) as well as broccoli at the very end, but other than that it’s fairly hands off. And if you preheat your slow cooker ahead of time, it’ll cook even faster. Get the recipe. 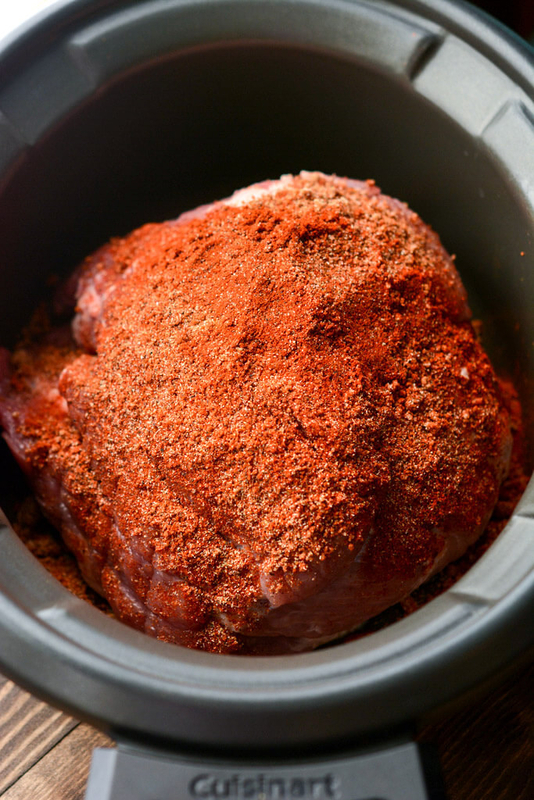 TIP #3: Increase your seasoning when cooking in a slow cooker — the long, low heat has a tendency to mellow flavors out. 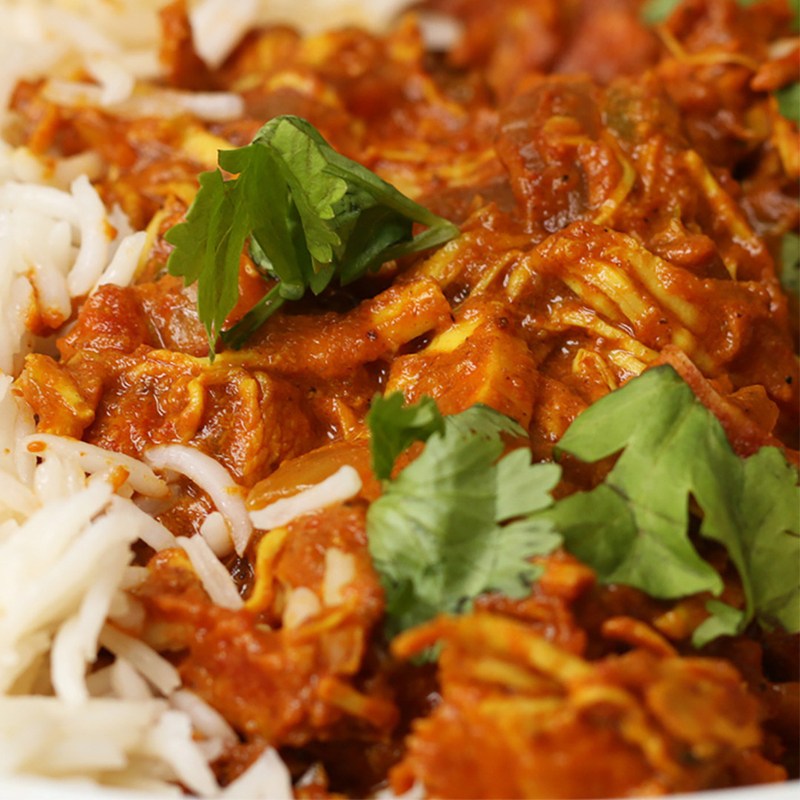 The downside of using a slow cooker is that they don’t develop flavors quite like an oven or cooktop (because high heat = high flavor), but one way to get around that is to increase the amount of spices you add to your recipes. Quality slow cooker recipes will already have done this for you, but if you’re making an off-the-cuff slow cooker recipe, feel free to season aggressively as the flavors will mellow out over time. Two teaspoons of Creole seasoning ensure this recipe comes out bold and full of flavor — even after the long cooking time. Get the recipe. 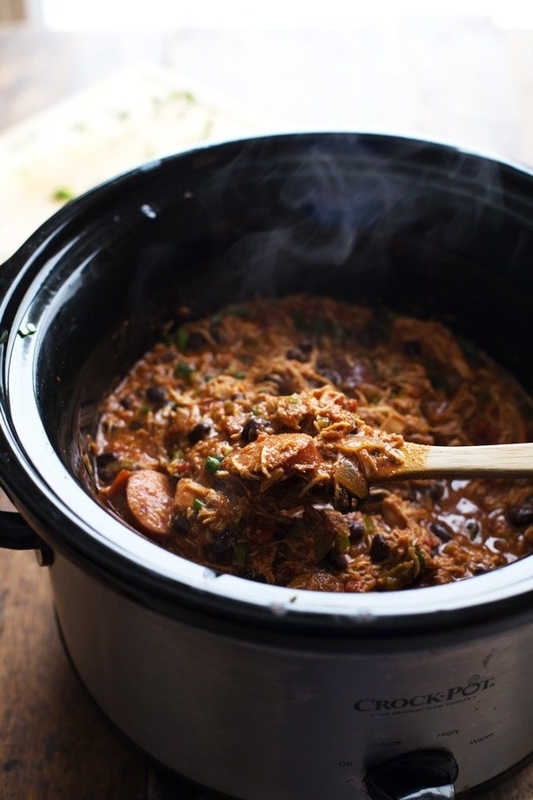 TIP #4: Run your slow cooker overnight instead of while you’re at work to avoid overcooking. For people who have long work days, sometimes cooking your dump dinners the night before makes more sense. Most recipes take between six to eight hours to cook, so it’s the perfect amount of time to cook overnight. In the morning, transfer it into a Tupperware container and stash it in the fridge. When you come home from work, just reheat and enjoy. This simple soup can be as smooth or chunky as you’d like depending on how much you blend it — and it takes six to eight hours to make, so it’s perfect for cooking overnight. Get the recipe. TIP #5: Don’t open the lid unless you absolutely have to. I know it’s tempting, but resist the urge to open your slow cooker lid. Every time you open it, it’s estimated that it takes between 20-30 minutes for it to come back to temperature — so peeking too often can seriously mess up your cooking time. 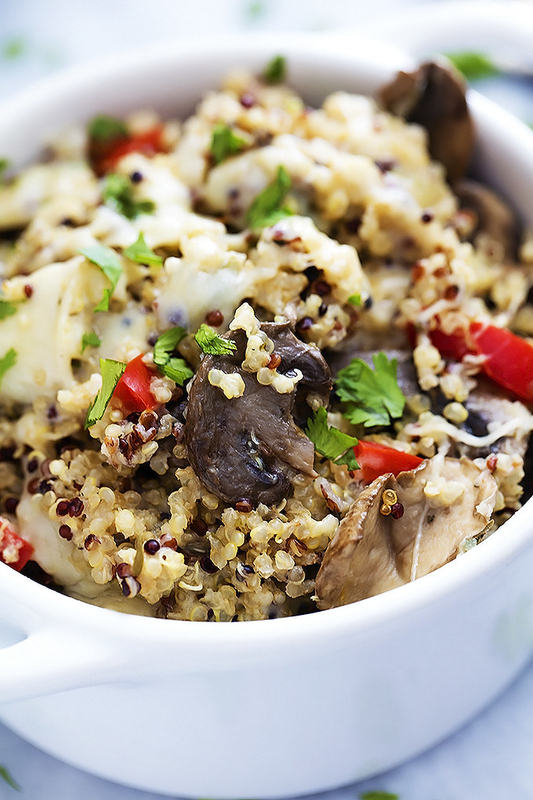 This simple vegetarian dinner is loaded with savory mushrooms and couldn’t be easier to make — just make sure you don’t open the lid so the quinoa cooks properly. Get the recipe. 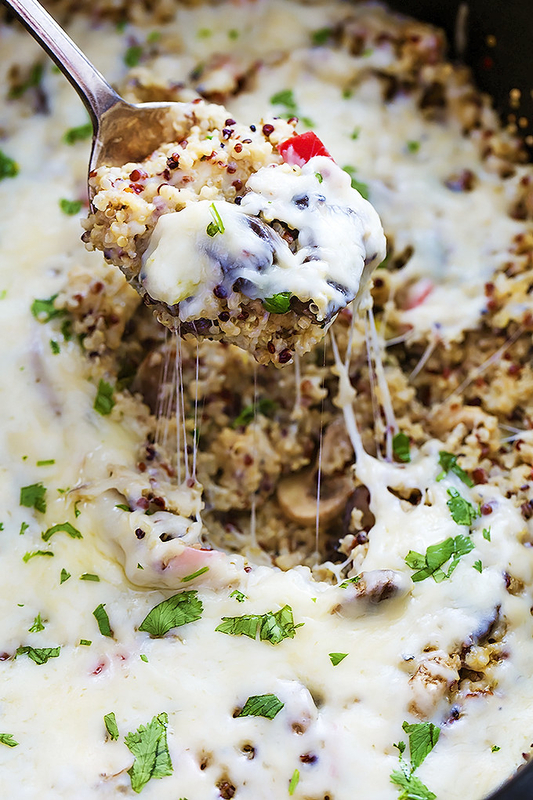 TIP #6: If your recipe calls for heavy cream or cheese, add it at the very end. Dairy products, such as cheese and heavy cream, have a tendency to split when cooked at a high temperature or for too long. For this reason, most slow cooker recipes add them at the very end to prevent any mishaps — but if you’re making up your own recipe, keep this in mind and add them right before you serve it. Just throw everything into your slow cooker, let it cook, and finish it with some heavy cream and butter right before serving. Get the recipe. TIP #7: Go ahead and use cheap cuts of meat. The long cooking time will help break them down and make them tender. One of the great things about using a slow cooker is that you can utilize cheap, tough cuts of meat that slowly break down when cooked at a low temperature. Cuts like pork shoulder and chuck roasts are great options for cooking in a slow cooker and will become tender and flavorful. If you’re trying to shed a few dollars off of your grocery bill, these cuts are perfect. Learn more: Check out a list of some of the best inexpensive cuts of meat. 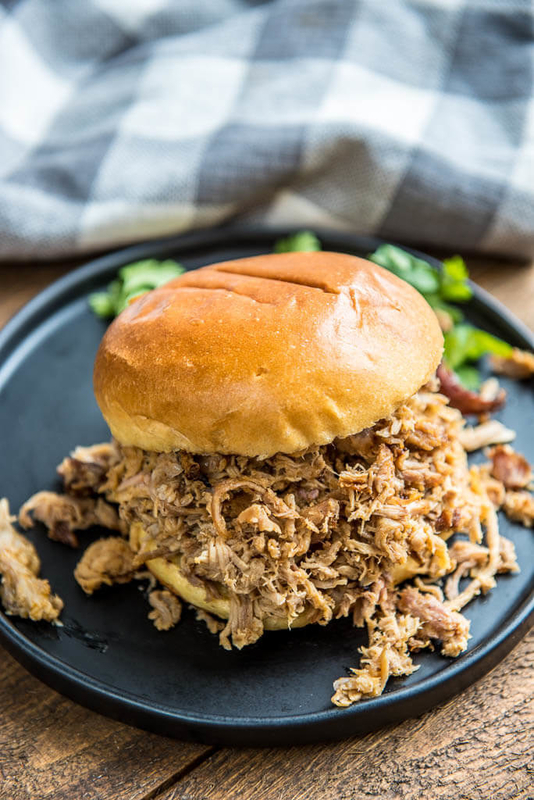 This recipe transforms a cheap pork shoulder into delicious pulled pork that can be used in sandwiches, tacos, or served over rice. Get the recipe. 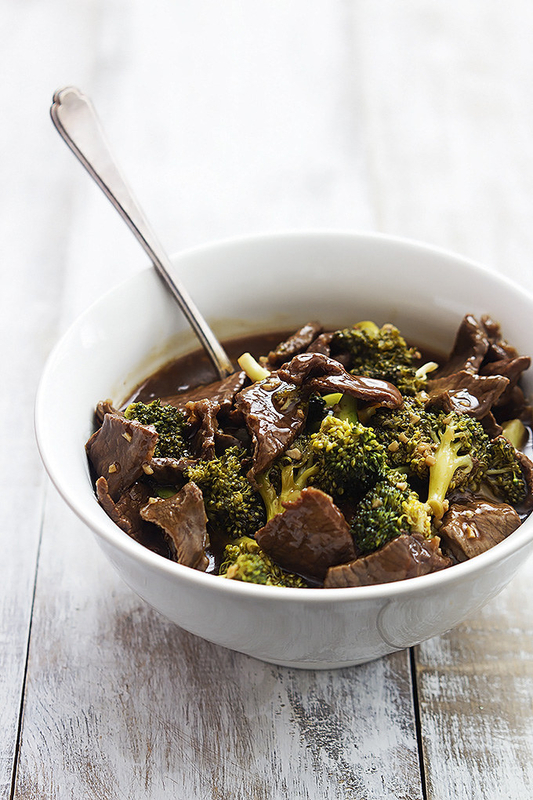 TIP #8: Don’t store leftover food in the slow cooker bowl — instead, transfer it into a different container. After cooking, the bowl of a slow cooker stays warm for a very long time, so you’ll want to transfer it into a separate storage container. Sure, it’s extra work, but it makes sure your food is safe and protected against foodborne illnesses. Learn more: Read more about how to safely cool down food. 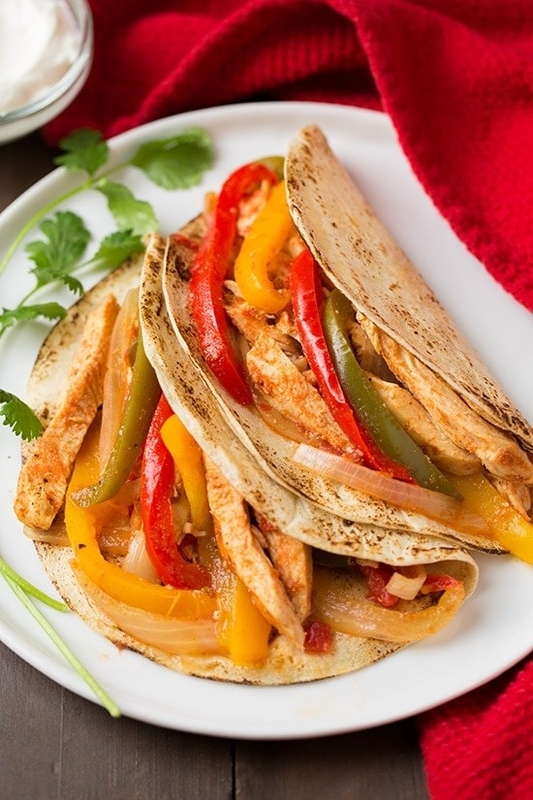 This simple slow cooker chicken fajitas recipe is the easiest way to host an effortless taco night. If there’s any leftover, just pack ’em up and eat them the next day! Get the recipe. 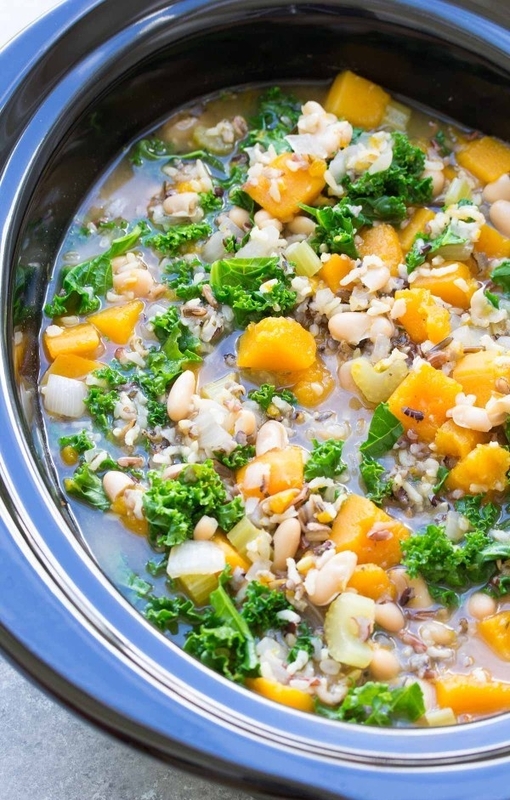 TIP #9: Don’t overfill your slow cooker. Filling your slow cooker to the proper level is an important, but often overlooked, detail to keep in mind. The target fill level is about 3/4 of the way to the top, and most quality recipes will achieve this. If you fill it up too much, you could end up with a mess on your counter. 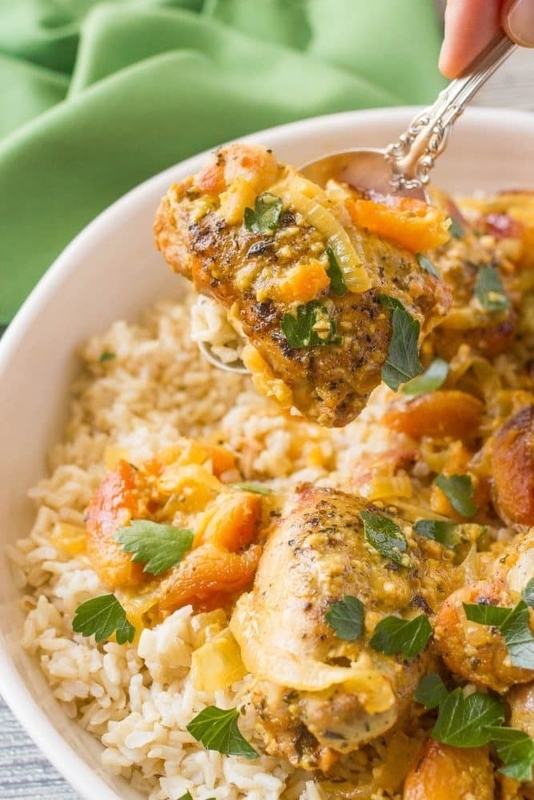 One cup of dried apricots gives this chicken the perfect amount of sweetness to balance the tang of fresh lemon juice and spicy Dijon mustard. Get the recipe. TIP #10: If your slow cooker ends up with gnarly stains on the bowl, use vinegar and baking soda to clean it. Some tomato-based sauces can stain the bowl of the slow cooker and can infuse unwanted flavors into future dishes. To combat this, after you cook something particularly messy, fill your slow cooker with a mixture of white vinegar and baking soda and turn it back on. 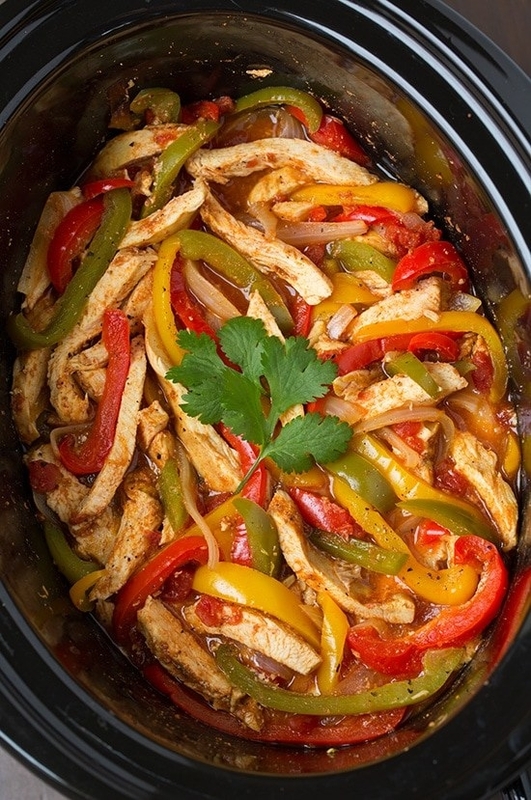 The heat from the slow cooker will help the mixture remove any unwanted stains and burnt bits. Then you just rinse it out, and it’s good to go. 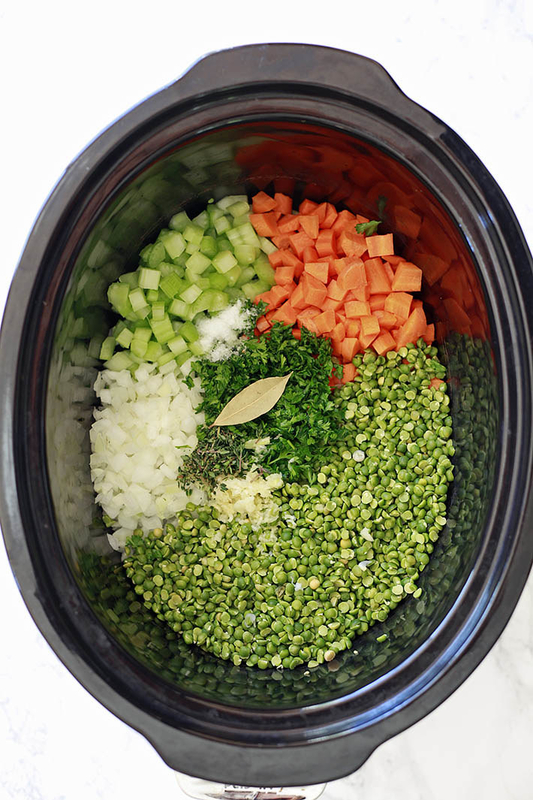 Learn more: Get step-by-step instructions for cleaning your slow cooker. This recipe gets a ton of flavor from both tomatoes and a handful of warming spices — two ingredients that may also stain your slow cooker, so put that cleaning hack to use! Get the recipe. TIP #11: If your recipe turns out soupy, remove the lid to let the excess liquid evaporate. If you’re making a soup or stew that comes out a bit too watery, you can just remove the lid and continue cooking it to let some of the excess moisture evaporate. Depending on how much water you want to evaporate, you’ll have to cook it with the lid off for between 20 minutes and one hour. 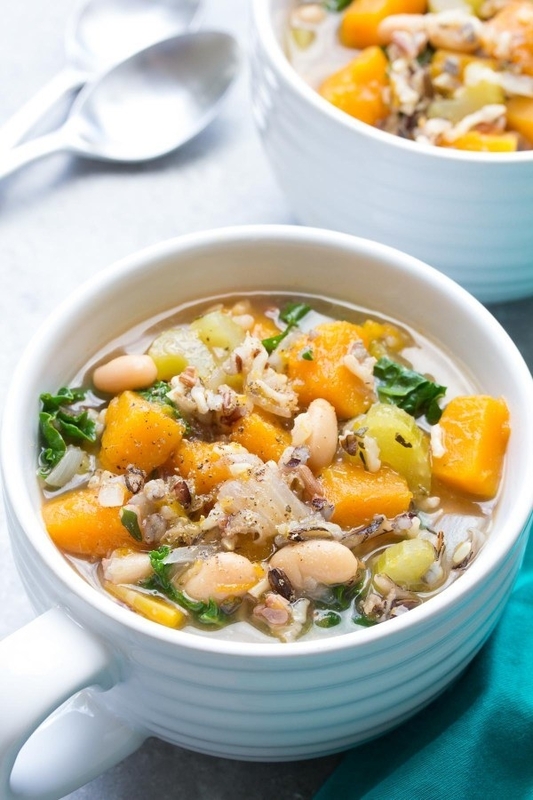 This hearty vegetable soup is not only vegetarian, but vegan, too — and if it comes out too thin, just let it cook for a few minutes with the lid off. Get the recipe. TIP #12: Prepare your meals in advance and stash them in Ziploc baggies in the freezer to get a head start. Because you’re throwing everything into your slow cooker at the same time, you can prep everything ahead of time and stash it in a single bag. 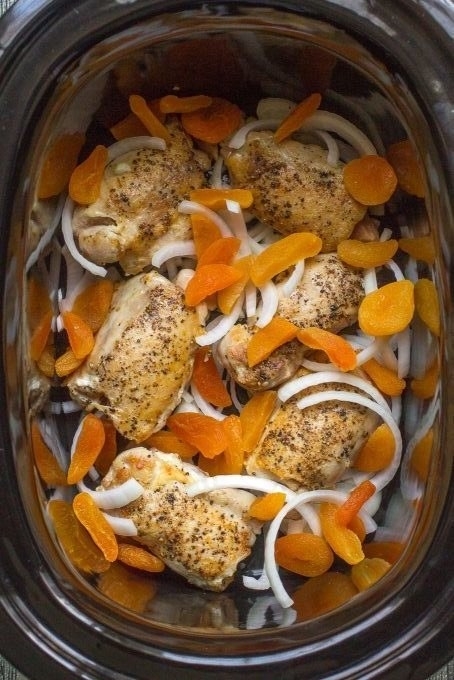 This way, when you want to cook it for dinner, you just dump it all in the slow cooker and go on with your day. The only thing to keep in mind is that some ingredients — like fresh herbs or cheese — can get a bit weird when they freeze, so you might want to keep them out and prep them at the very last minute. An easy way to remember those items is to write what you left out right on the bag. 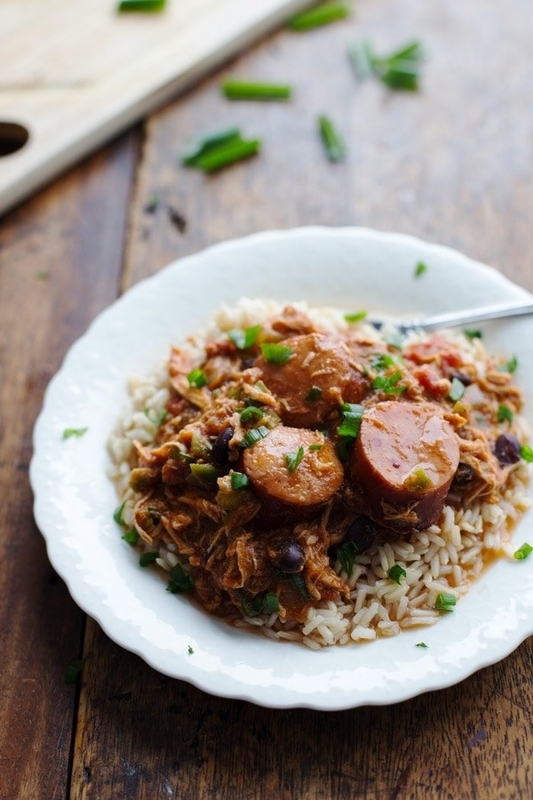 Learn more: Check out 12 make-ahead slow cooker recipes you can stash in the freezer. This simple soup, loaded with veggies and store-bought meatballs, is the perfect hearty dinner that just about everyone will love. Get the recipe.